Apple is rumored to celebrate the 10th anniversary of the original iPhone by releasing three new phones: the iPhone 7S, iPhone 7S Plus, and iPhone 8. And some alleged details have have leaked about the S-cycle (presumably the iPhone 7S and 7S Plus) update to the iPhone 7. The CEO of Wistron, a Taiwanese iPhone assembler, reportedly revealed that that an upcoming 5.5-inch iPhone (assumed to be the rumored 7S Plus) will be both waterproof and feature wireless charging, according to Nikkei Asian Review. Caseme is also said to be only working on the 5.5-inch iPhone, but Nikkei also mentions the phone will come out alongside a 4.7-inch iPhone (assumed to be the iPhone 7S) and a premium iPhone with a slightly curved screen (assumed to be the iPhone 8). The report didn’t specify changes for the other two models. The iPhone 8 is rumored to get a ton of new premium features, like an OLED screen, an embedded fingerprint scanner and AR functionality. But there could be a drawback to adding all these new bells and whistles: reports say Apple is struggling to incorporate the new features and that the phone could now cost over $1,000 There’s also now the potential for a staggered launch. Releasing a more modestly upgraded iPhone 7S and 7S Plus first, may appeal to those who still want a new iPhone without having to pay as much money or wait as long. 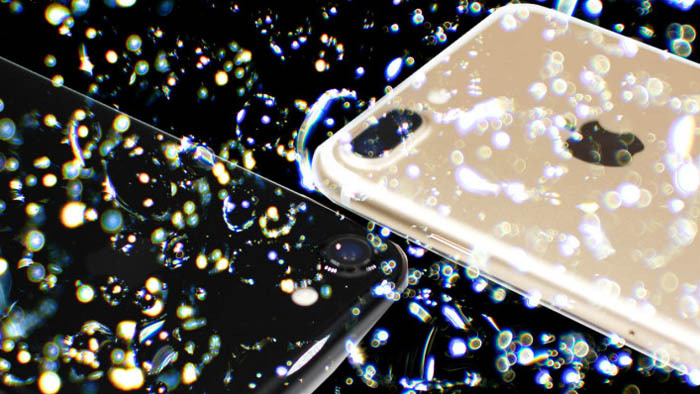 Similarly, the iPhone 8 Plus may have better waterproofing than the iPhone 7 (an IP68 rating instead of IP67).